From useful insights on the evolution of Google services to important perspective on the future of Android, these original analyses are must-reads for anyone interested in mobile technology. Ah, the holidays. December is the perfect time for unwinding, to be sure -- grab a tasty beverage and kick back, won't ya? -- but it's also a fine time for reflecting on the year that's passed and the perspective we've gained. Here at Android Intelligence International Headquarters, we (meaning the squirrel outside my window and I) have been poring over the past 12 months of stories to find the bits and pieces that stand out the most -- whether you missed 'em the first time or simply want to seize the opportunity to contemplate and consider once more (wise, you are). 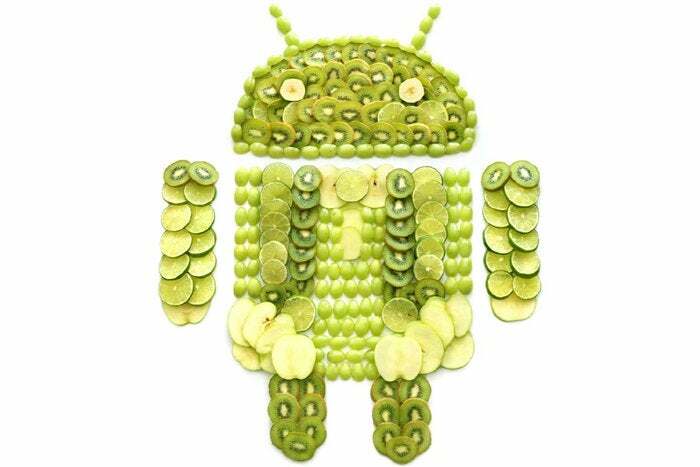 Señor Nuttersby and I have already shared our favorite tips and tricks and Android expert profiles from the year. Now, it's time to take on the truly chewy stuff -- the in-depth analysis that's floated through these halls and feels just as relevant now as it did when it was first published. So put on your thinking caps (Santa-themed, dreidel-adorned, or whatever the case may be) and get ready to mull. Here are 10 gluten-filled nuggets that are worth digesting -- or revisiting -- as we head into the holiday season. 1. Holy hell, the Android-Chrome OS merger is actually happening! Some much-needed perspective on the ever-popular Android-Chrome OS "merger" talk and what's actually been happening right in front of our eyes. There's much more to this move than what you see on the surface. Ready to have your mind blown? Half a year with Google's multinetwork service teaches you a lot about what you want from a wireless carrier. I raved about Chromecast Audio when it launched last fall -- so after an extended period of living with it, does Google's $35 gadget still deliver? An in-depth look at what actually happens when Google discovers a vulnerability -- and why alarmist headlines frequently fail to tell the full tale. If you're looking at Google's Pixel as Just Another Android Phone, you're missing what really matters. Android has a lot of good things going for it, but not all of Google's recent progress has been positive. Everyone who pits iPhone and Android upgrades against each other makes the same critical mistake -- one that makes all such comparisons completely fruitless. An exclusive interview with Google's Rajen Sheth about Android's evolving role in the enterprise and how it and Chrome OS will continue to work together. Whew -- what a year it's been. Do me a favor: Have yourself a lovely end to 2016. Find some time to unplug a little and relax. Do something nice for a total stranger (and then resist the urge to post about it on social media). Most of all, enjoy yourself -- and relish every free moment you manage to find. The constant buzzing will be back soon enough. A very merry Festivus to you, my friend. See you in 2017!